"The skin-friendly water of Ceramide Repair Water solves the problem of dryness, which is the root of aging, and Skni Renewal Peptide works as actin, a skin protein, to activate the anti-aging care inside the skin and restore the younger -looking clarity of your skin." - Skin refiner that transparent gel penetrates into skin giving moisture and tension. - Ceramaid repair water fills up between dead cells and addressing dryness, a cause of aging, and helping effective elements be absorbed deep into the skin. - 7 oligosacharides ingredients and hyaluronic acid gives moisturizing effect as well as strengthening skin barrier allowing skin to have elastic and moisture state. - Himalaya Snow Water that contains abundant snow minerals provides nutrition and vitality to the skin and realizes the transparent and pure skin from deep inside of skin. - Lotion that fits into your skin tightly by absorbing moisture. - Biosacharide gum forms a coated layer on the outler layer of skin, giving double moisturizing effect. It allows smooth and moist skin everyday. - As snowflakes sliding down, Essence with delicate 15 seconds massage treats signs of aging and gives elastic finish. - Moist and smoothly applied, but alters to elastic feeling. Can feel the synergy effect with easy anti-aging massage. - Almond extract, pommegranate extract, cocoa extract cares face lines by giving lifting effect and anti-oxident effect. - Can feel elastic and moisturized skin inside and outside by caring uneven skin texture due to signs of aging. - Dual anti-aging eye care treating all signs of aging in eye area allowing bright and smooth eye area. - Phytospingosine fermented ingredient, protects eye area from external irritation and helps circulation to care dark circles. - Brightens eye area by gently absorbing into skin. - Gives anti-aging effect by preventing skin aging from UV light. - Beta Glucan gives elasticity and vitality to fatigued eye area due to stress. - Concentrated gel absorbs into skin caring first sign of aging. - Moisturizing and aging care penetrates deeply into the skin overnight, gives smoothness to eye area. - Dermochlorela and Yeast extract help blood circulation of eye area and give elasticity. - Low viscose cream that cares first signs of aging. - Hyaluronic acid ingredient treats skin dryness, basic cause of all skin troubles, and allows moist and smooth skin. - Konjac mannan extract and sugar cane extract give wet compress effect thus making moisturizing barrier. ★Feel on skin? Feels very light. I can use everything without my getting super oily later on. I've been into anti-aging products lately, so I decided to give this a try. I really like this line. No allergic reactions!! I love how everything is very light & absorbes into the skin very quickly. The Duel Touch Day and Night Eye Cream is very convenient. You don't have to search for 2 separate eye creams plus the day eye cream has spf in it. I use everything during the day except for the Perfect Renew Cream, which I use at night. The Perfect Renew Essence is my favorite out of the whole line. My skin looks brighter and feels smooth every time I use it. I'm not sure if the Perfect Renew line helps with anti-aging, since I look pretty young for my age already. The only thing I don't like about this skin care line is that it's expensive. The cheapest way for me to get this whole line is by purchasing it on Gmarket, but the shipping is also expensive. Despite being expensive, Laneige Perfect Renew is a great skin care line and I will most likely save up and buy the Perfect Renew Essence and the Duel Touch Eye Cream it in the future. My Target beauty bag finally came in the mail! I missed out on the other Target beauty bag, but I have one this time! Enjoy free samples? Check out my Freebies/Discounts page. Laneige is top selling Korean skin care/makeup line that targets women from the ages of 24-32. Their skin care products incorporate the power of Water Science technology to moisten your skin. "Basic Care creates the optimal skin background by refining and preparing the skin after cleansing. When the skin is dulled and stressed due to frequent exposure to harmful contamination, smog, and pollutants, it purifies the skin and supplies energy to skin cells to restore transparency and vitality." - Eliminates impurities in the pores, and removes keratin for clear and transparent skin. - Niacinamide helps for brightened skin tone with keratin care. Cotton extracts prevents skin damage to refine oily and dull skin for clear and healthy skin. -Controls excess sebum and balances oil and moisture for clear and transparent skin. - Niacinamide helps for brightened skin tone with keratin care. Ginger extracts controls excess sebum and skin troubles while balancing oil-moisture for oily skin. ★Skin Type? Great for oily to combination skin. ★Feel on skin? Both the toner and the emulsion feels great on my skin. The emulsion feels very light and gives me the right amount of moisture for my oily skin. ★Oil Control? Very good. I noticed a difference right away. ★ Repurchase? Not this version. I had an allergic reaction to both of the toner and the emulsion. There were tiny red bumps all over my forehead and cheeks. The reaction didn't happen until 2 days after using the products. I stopped using them for a few days and then my skin cleared up. You can view more products on their official website. Have you tried any Laneige products? Please let me know which one is your favorite. 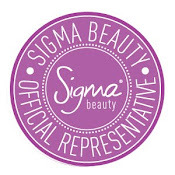 This collection features Sigma Beauty's exclusive Sigmax synthetic filament, which was created to perfectly apply powder, cream and liquid products onto the skin without absorption into the bristles. *Use the code MAX2011 to receive 10% off your entire purchase plus receive a free gift with a purchase of $30 or more. 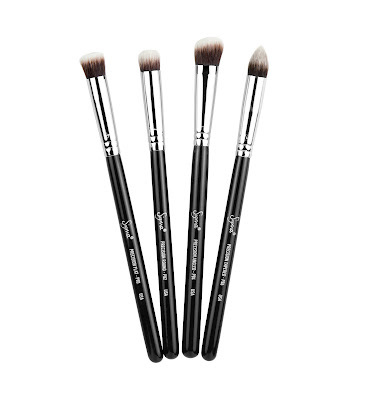 The Synthetic Kabuki Kit contains four face brushes for high definition, flawless makeup application. 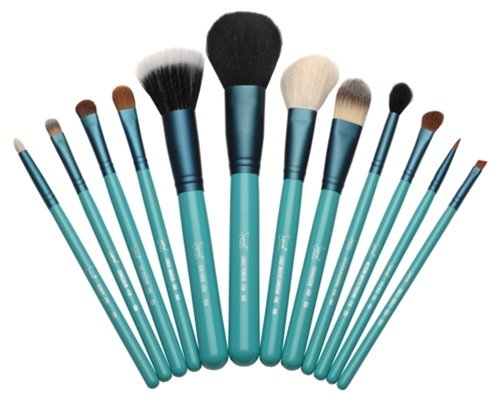 The brushes in this collection feature exclusive Synthetic filament, specially designed to apply powder and liquid products without absorption into the fibers. The shape, density and height of the filaments were carefully engineered to perfectly buff products onto the skin, resulting in a high definition effect. 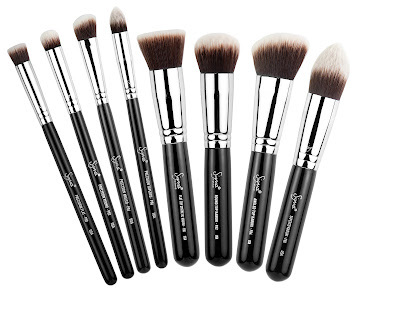 Each Brush will be sold individually for $16 or as part of the Synthetic Kabuki Kit (F80, F82, F84 and F86) sold for $56. 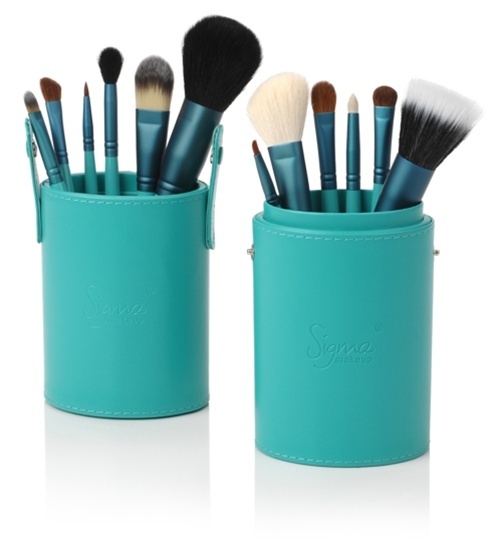 This collection contains all eight face brushes specifically designed for a high definition, flawless makeup application. The shape, density and height of each brush were designed to complement the different areas and shapes of the face. The Synthetic Essential Kit has everything you need to achieve a perfect and flawless look!